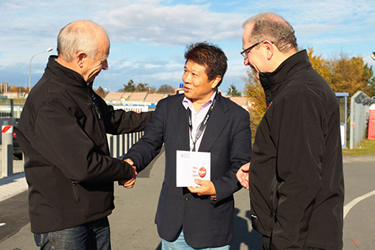 Donation from Nuerburgring to victims of Great East Japan Earthquake and Tsunami. Many people who involved the Nuerburgring (Many race fans and race organizers) contributed enormously to Japanese victims. We appreciate to all of them. 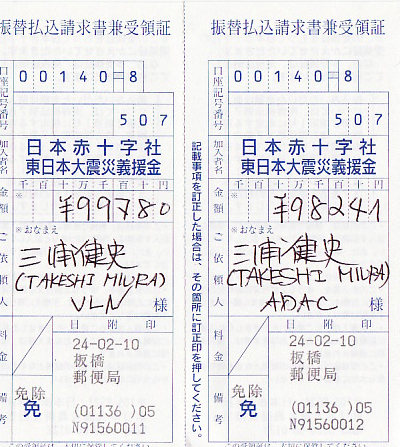 I already have passed the collected contributions to Japanese Red Cross Society as donation. I would like to show details to public and say many thanks for all peoples who made it. We got 1,000 EUR each from the organizer of the 24h race (ADAC Nordrhein e.V.) and the organizer of the VLN series in Nuerburgring. 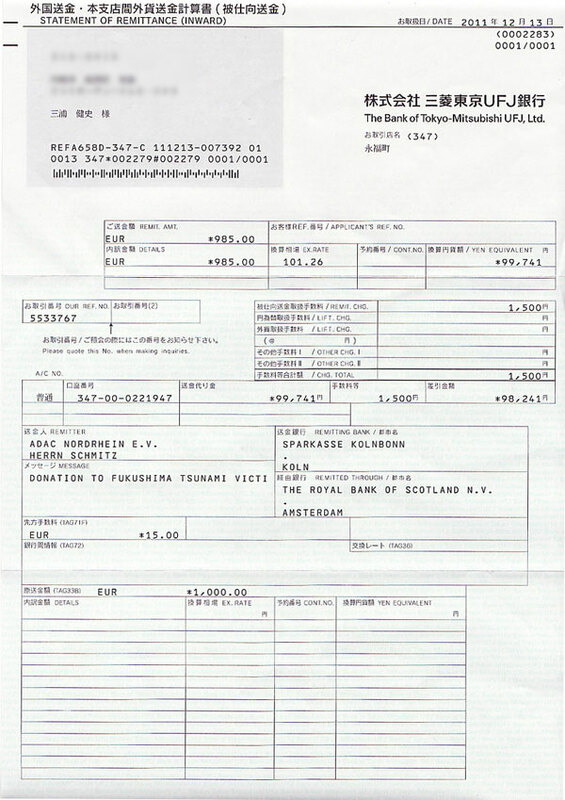 The contribution in EURO had transfer to Japanese Yen as following document. 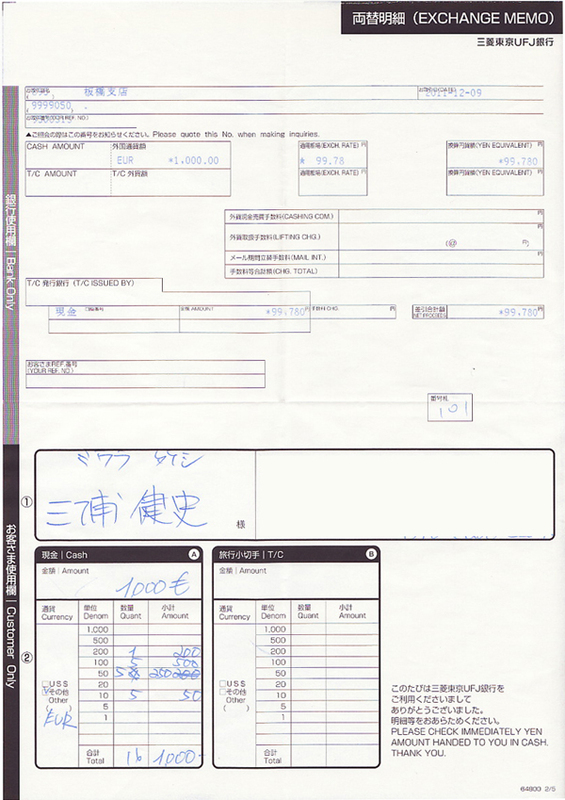 These are official confirmation documents passing contribution to Japanese Red Cross Society. Copyright(c) AR Relations Co.,Ltd All Rights Reseaved.